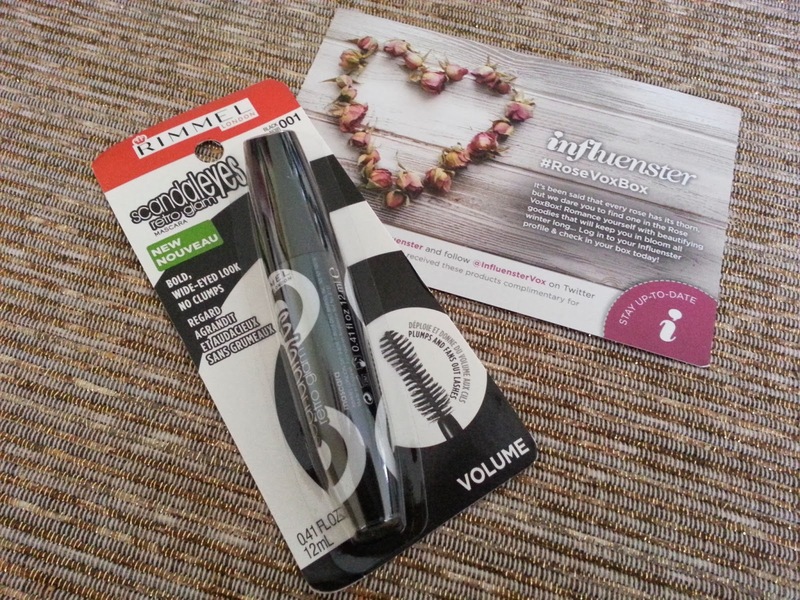 The fifth product I will be testing from the Influenster Rose VoxBox is, Rimmel London Scandaleyes Retro Glam Mascara. Bold, wide-eyed false lash look. Hour-glass brush shaped to the lash line to plump lashes, fanning them up and out for bold, wide-eyed volume. Coats lashes individually for a big, false lash look in one simple stroke. No clumps! This mascara is awesome. It gives nice fullness and length, and doesn't clump up my lashes and make them funky. I also liked that it easily washed off. The brush makes application so quick & easy. Full brush that absorbs the liquid for maximum bold dark lashes! Fortunately I have pretty long lashes so I don't need much mascara but when I do, Rimmel London is my go to brand! I would definitely use and buy this product again. I love it, I think it's a very good product! I love their cosmetics! I haven't tried this mascara yet, but it sounds like a great product! Oh it's my favorite, it works sooo good! I'm going to be honest I've never tried Maybelline, but Rimmel is my go to brand. I am always looking for some good mascara! I gotta try this! looks fab and I need a new mascara! thanks for shairng! NO CLUMPS IS GREAT IN MY BOOK Will Have To Try!! I love Rimmel London! It is the only mascara I use! I am always looking for mascara recommendations! This one has FIVE stars in my book! I have not used rimmel in so long thanks.